I’m passionate about the importance of nurturing the art form of dance by embarking on a journey of understanding together. This involves the teacher opening up and sharing the love of dance, and for me, passing on my experience in the industry to everyone from young children, to elite-level students, to current professional dancers, to adult beginners. I also believe that ballet is for everyone, regardless of socioeconomic background. I have been able to balance some teaching alongside my career as a dancer, as my students are a source of inspiration, and feed my greater understanding of the art form. Ballet Goes to Ciliwung Workshop – an introduction to ballet for children at the poor community at Ciliwung, Jakarta, Indonesia, in 2015. The project was Juliet's initiative, realised with the assistance of Ballet.Id and the Australian Embassy in Jakarta. Juliet selected two promising children to receive a scholarship for their further ballet education. 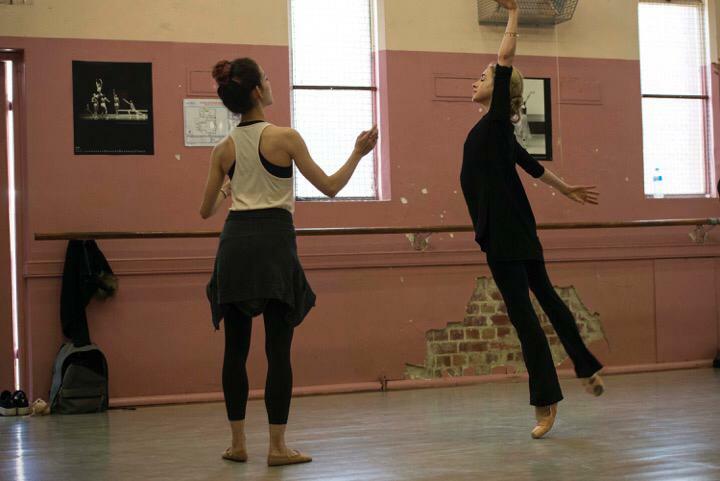 as a Trustee of the Valrene Tweedie Scholarship since its inauguration in 2013, Juliet selects the annual recipient of the prestigious award from Cecchetti Australia students.